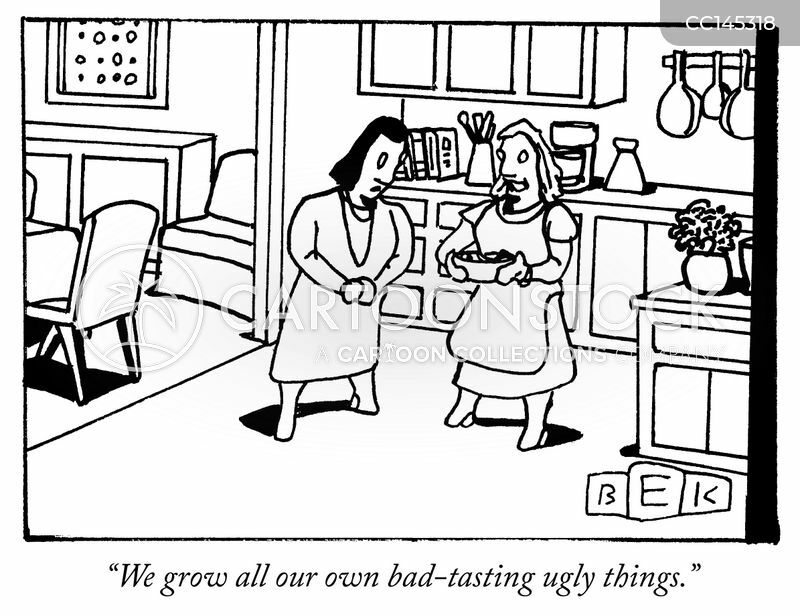 "We grow all our own bad-tasting ugly things." 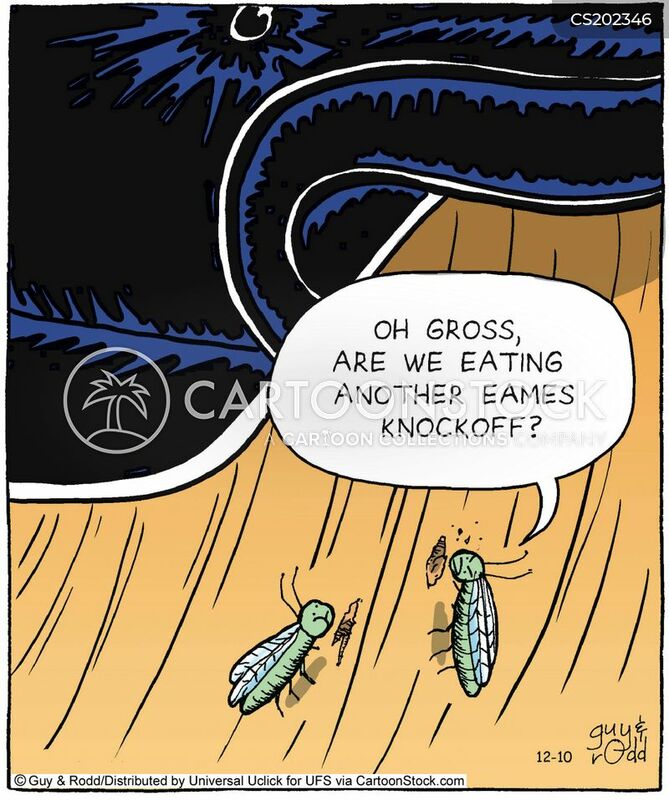 "Quick! 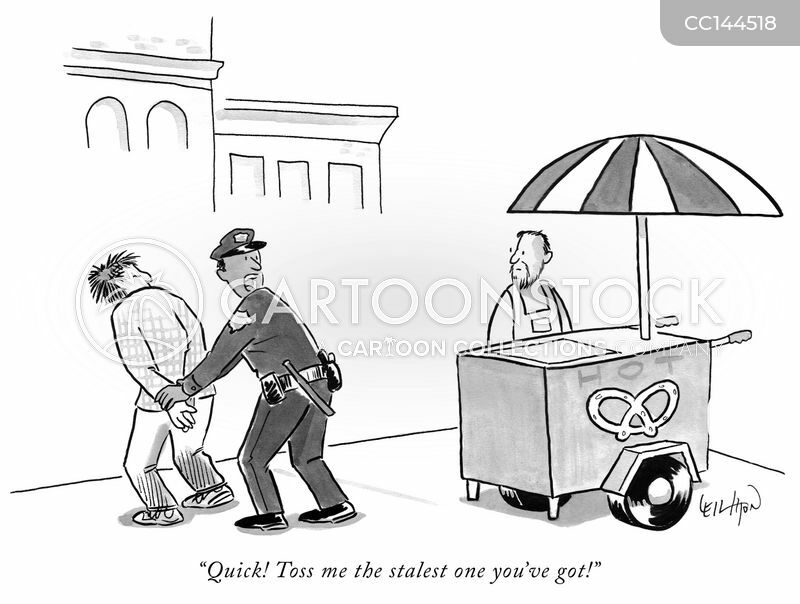 Toss me the stalest one you've got!" 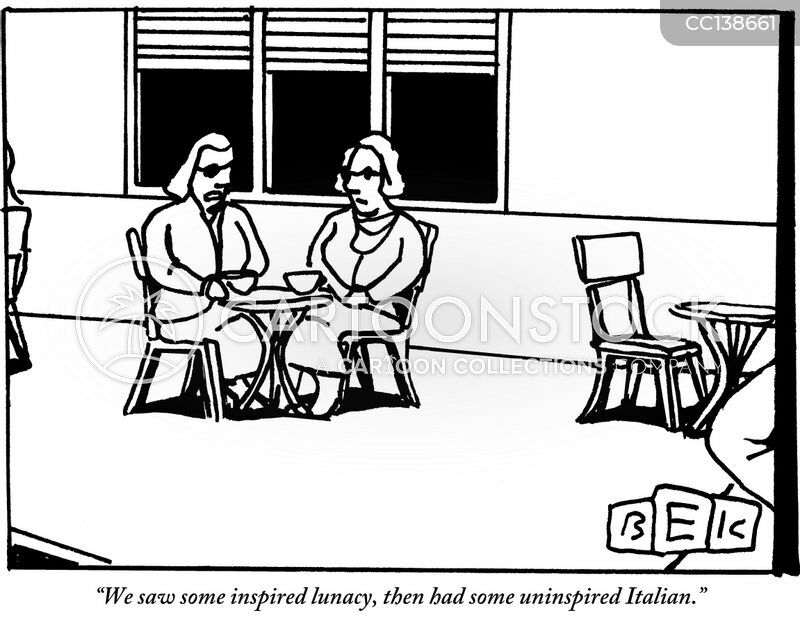 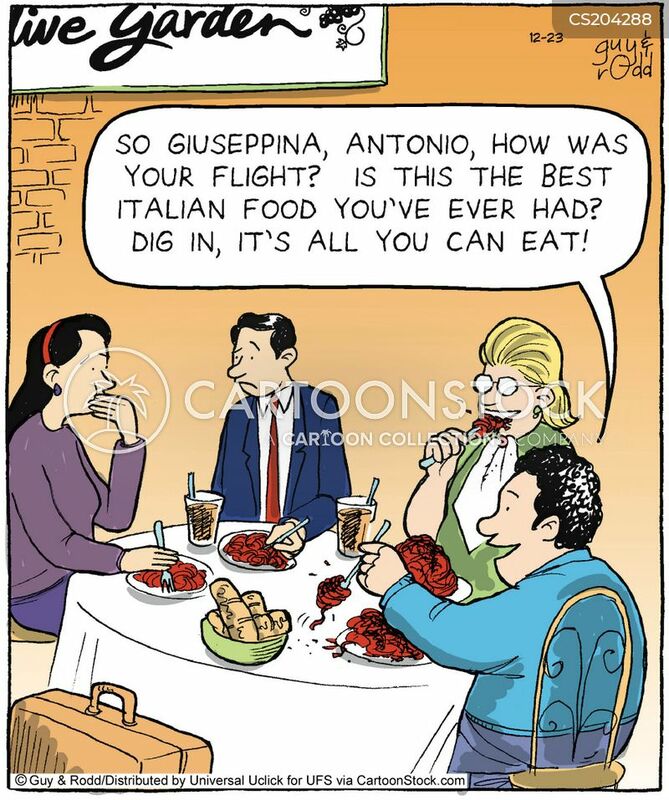 "We saw some inspired lunacy, then had some uninspired Italian." 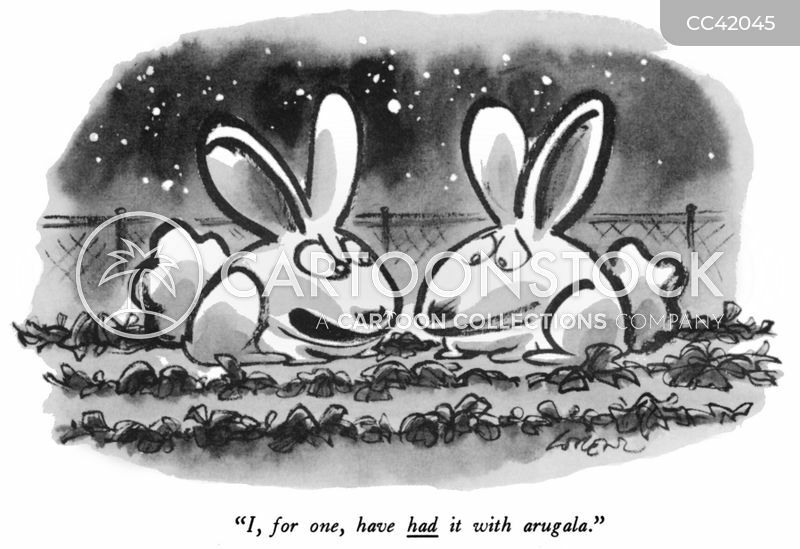 "I, for one, have had it with arugala." 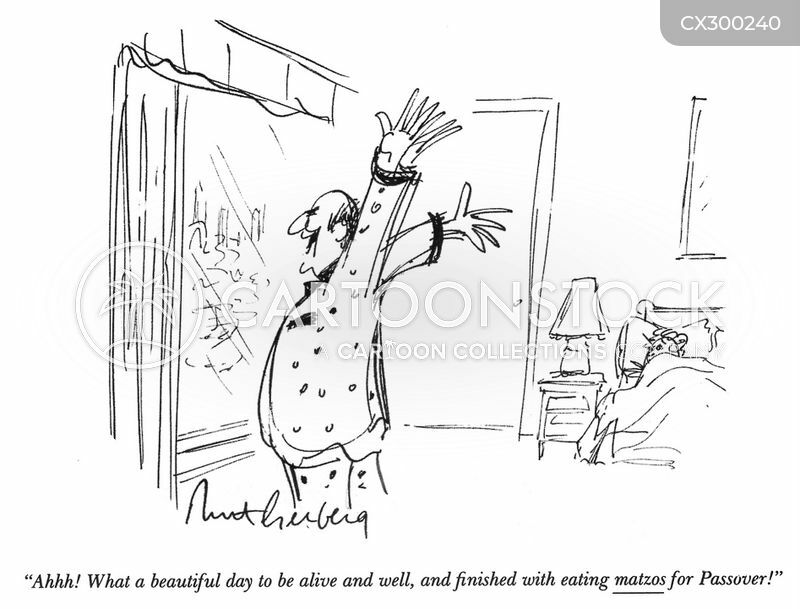 "What a beautiful day to be alive and well, and finished eating matzos for Passover!" 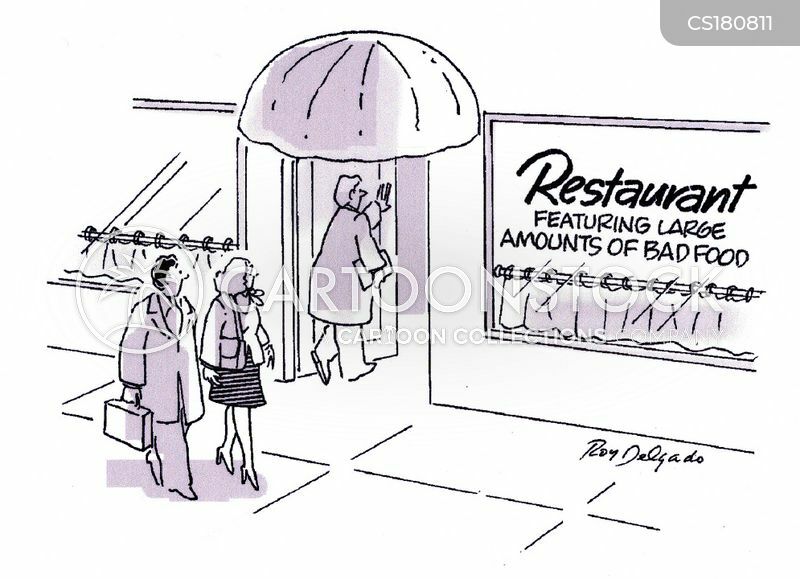 Restaurant - featuring large amounts of bad food. 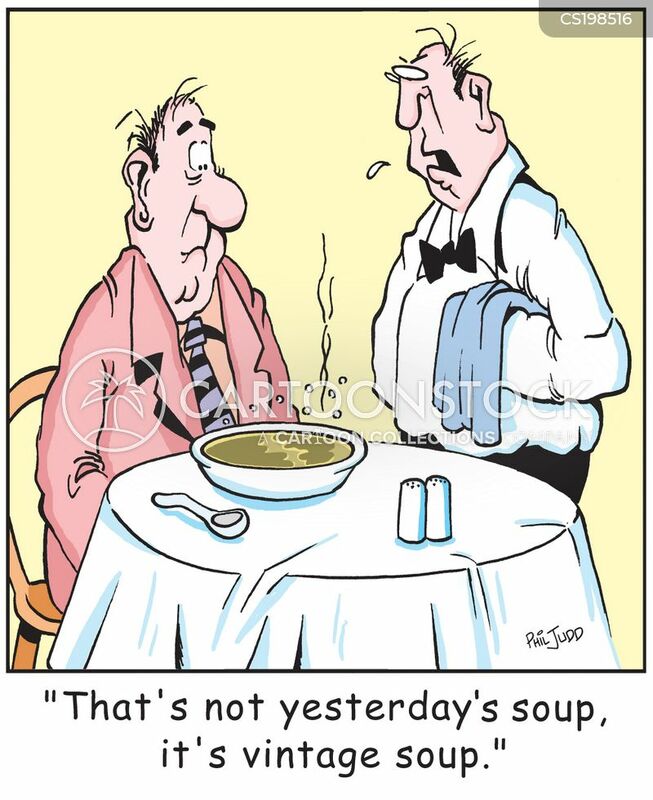 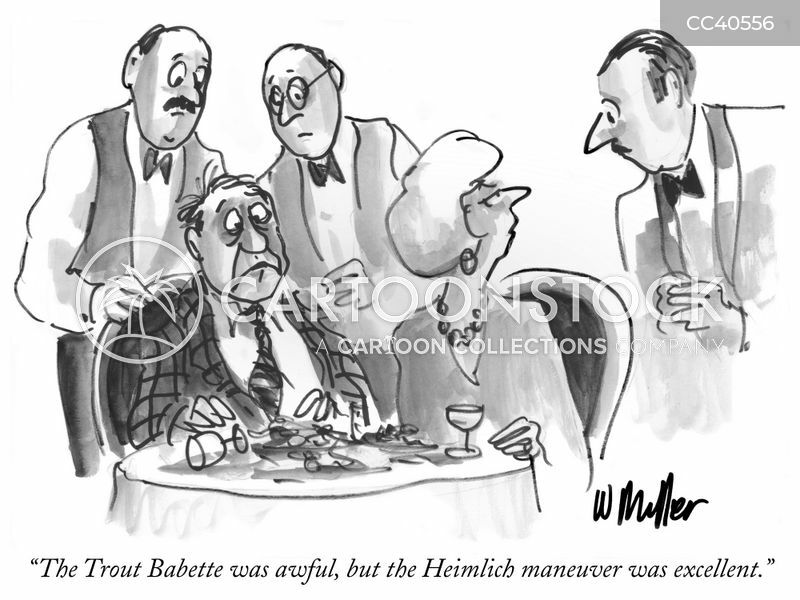 "The Trout Babette was awful, but the Heimlich maneuver was excellent." 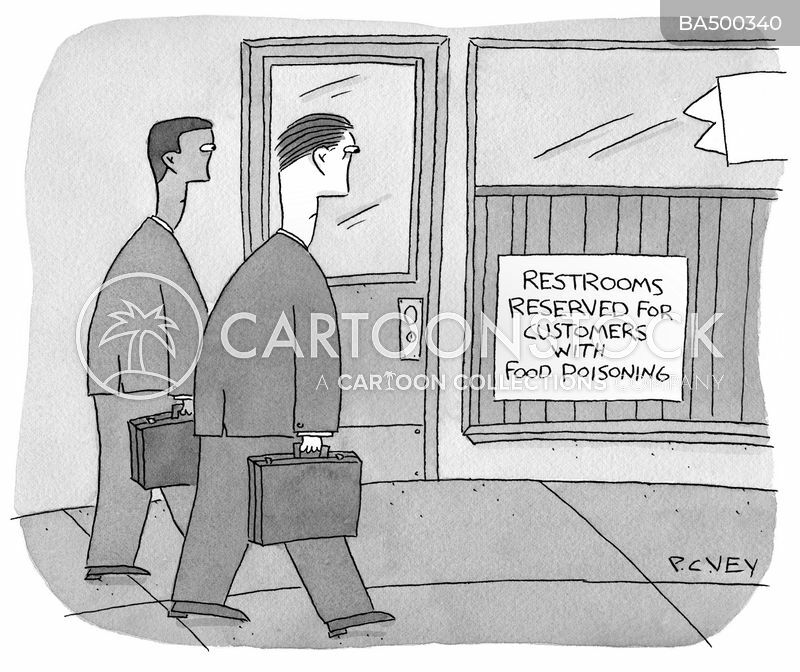 "Sorry, sir, but none of our food is very good. 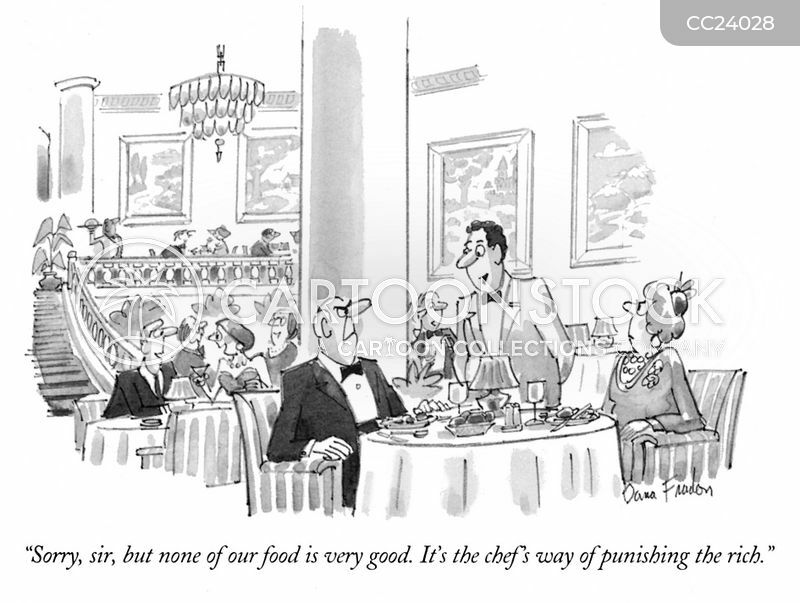 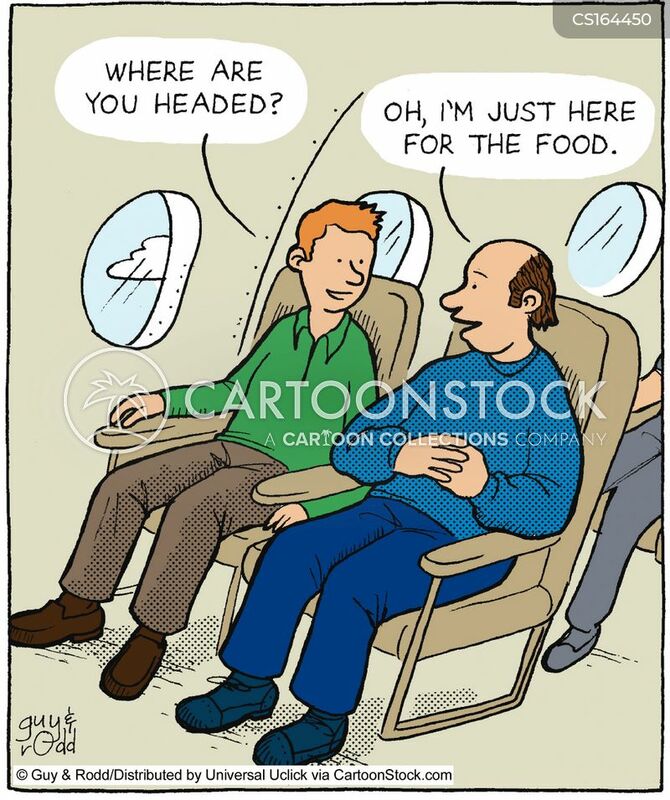 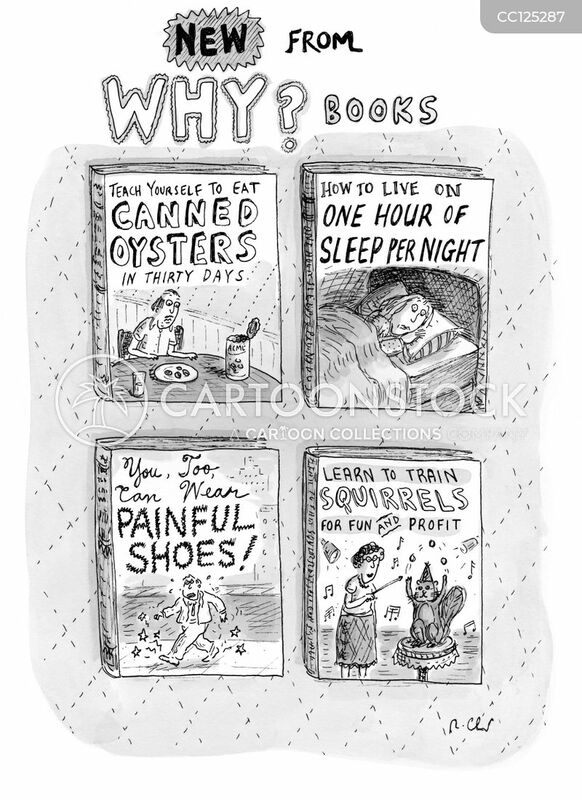 It's the chef's way of punishing the rich." 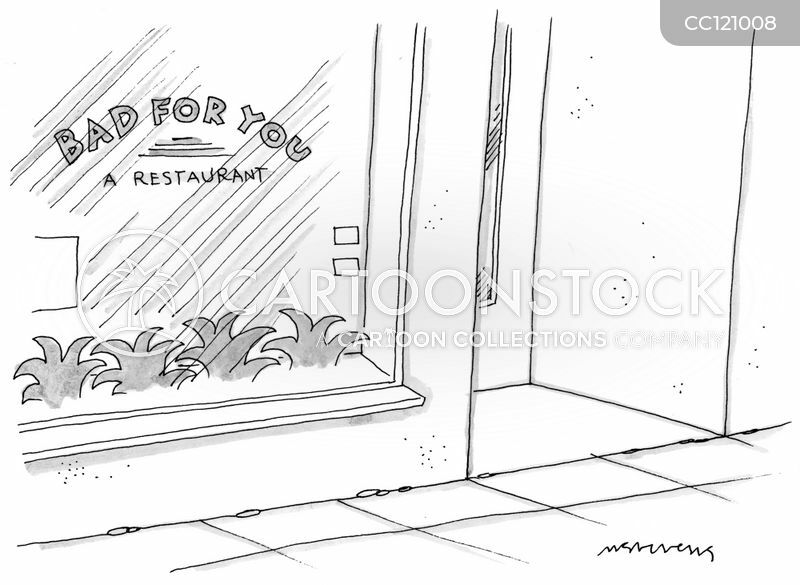 "Oh sorry. 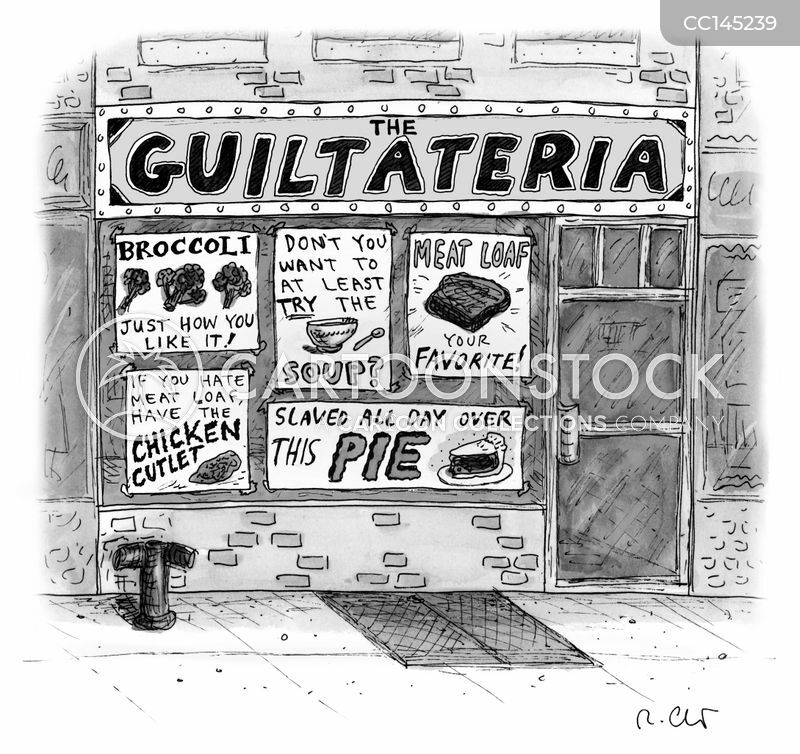 I gave you American apple pie. 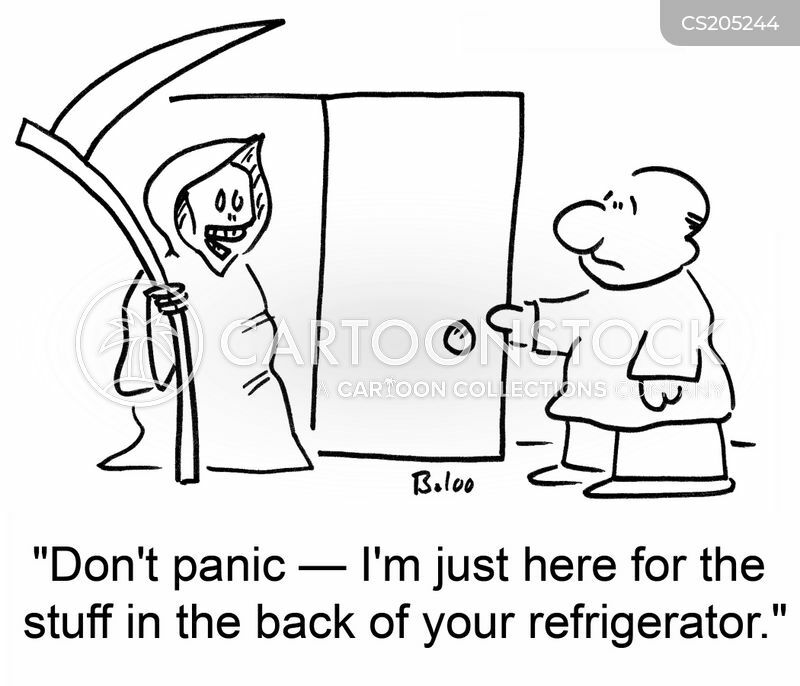 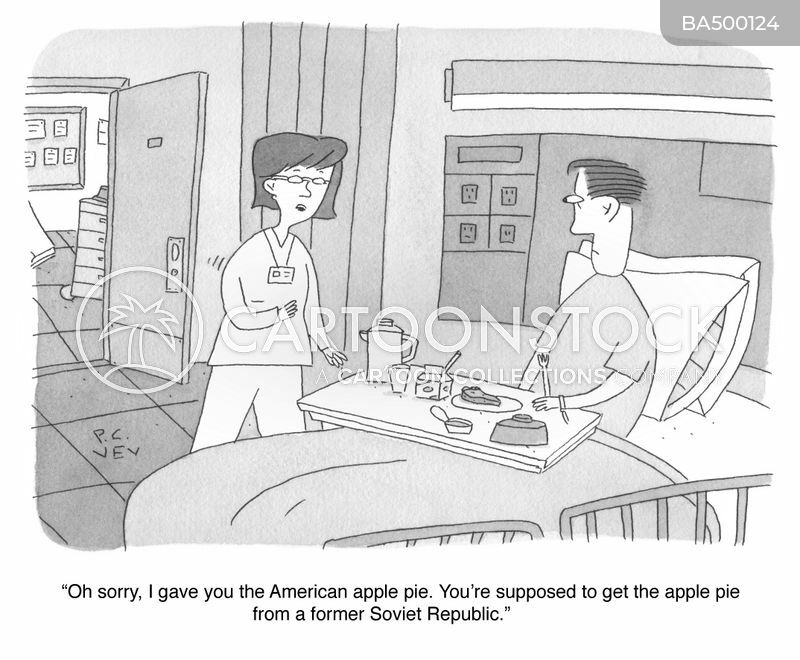 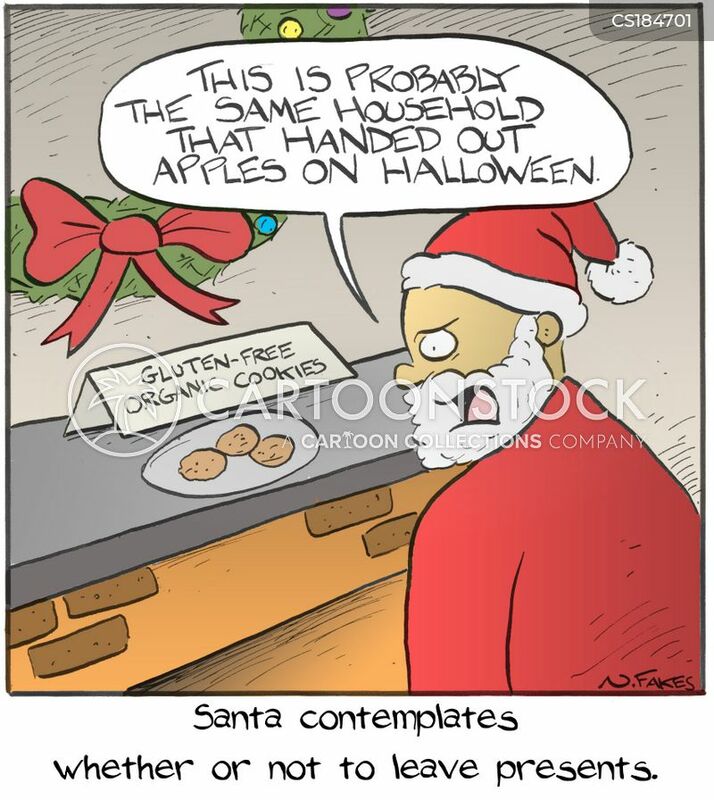 You're supposed to get the apple pie from a former Soviet Republic." 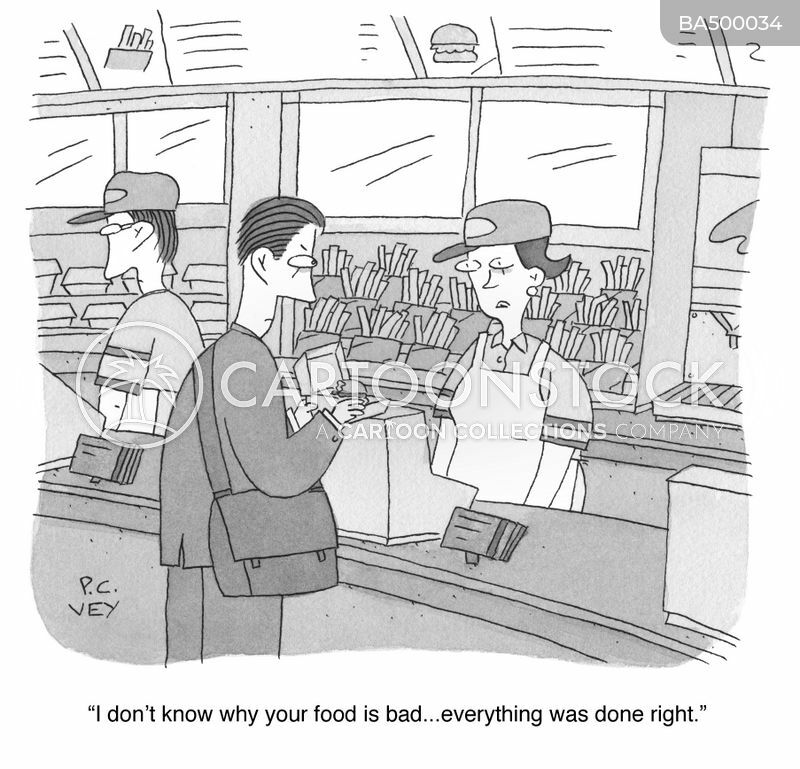 "I don't know why your food is bad... everything was done right." 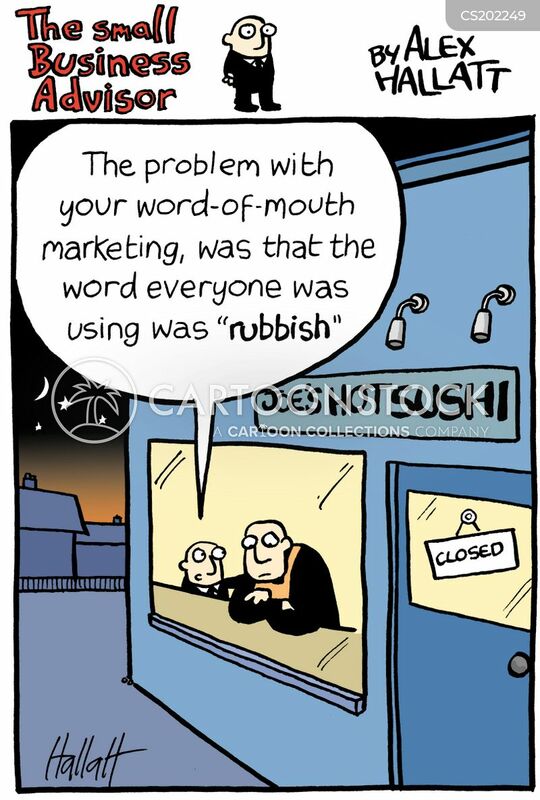 The problem with word of mouth marketing was that the word everyone used was rubbish. 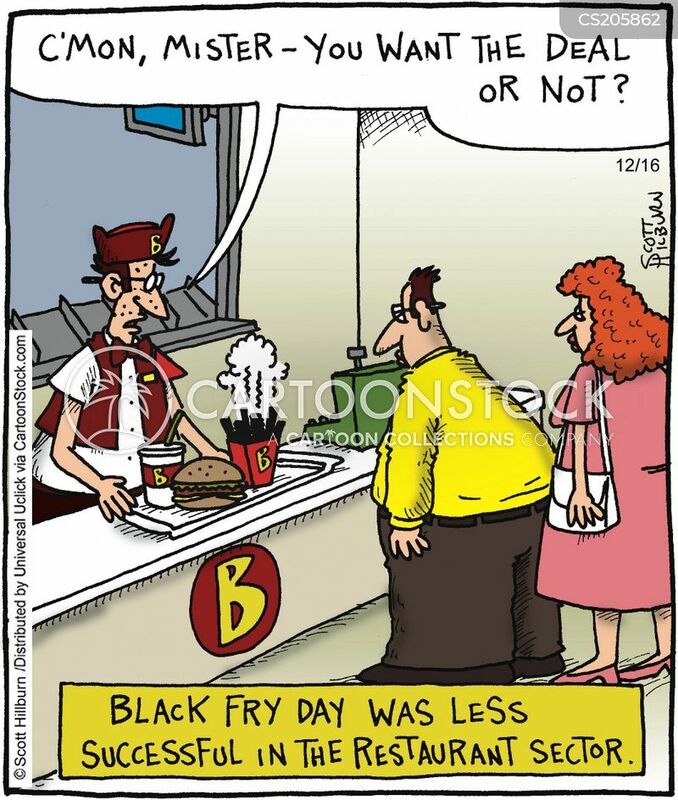 Black fry day was less successful in the restaurant sector. 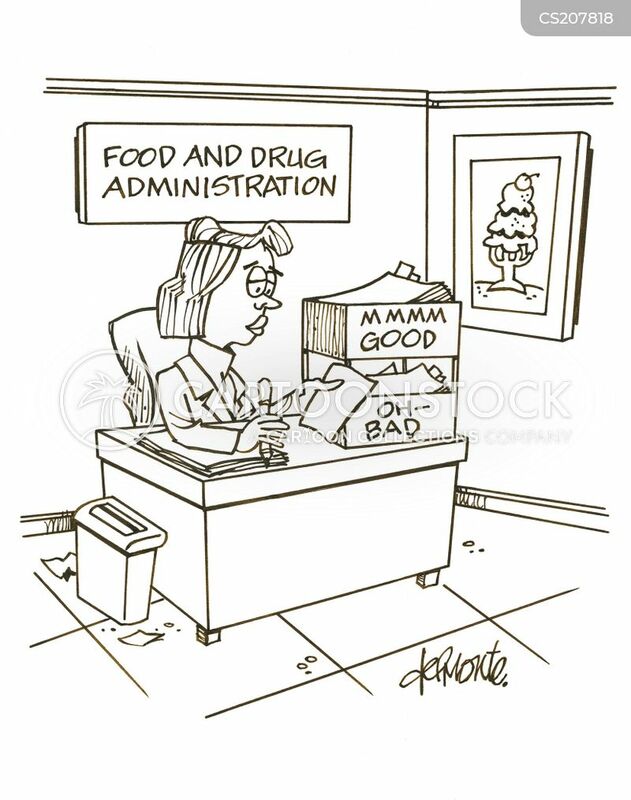 A woman sits in an office of the Food and Drug Administration in - out boxes marked MMMM Good and Oh - Bad. 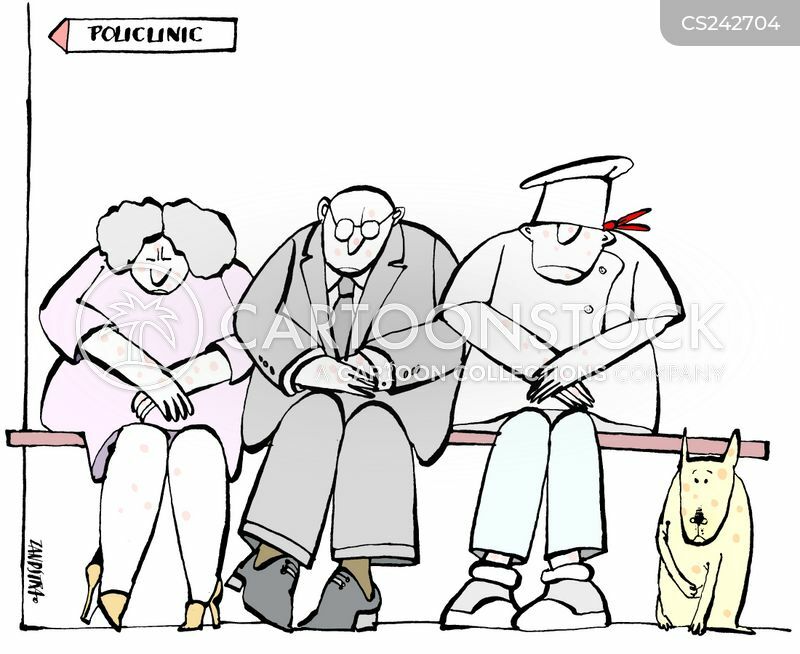 Chef and restaurant patrons waiting outside clinic. 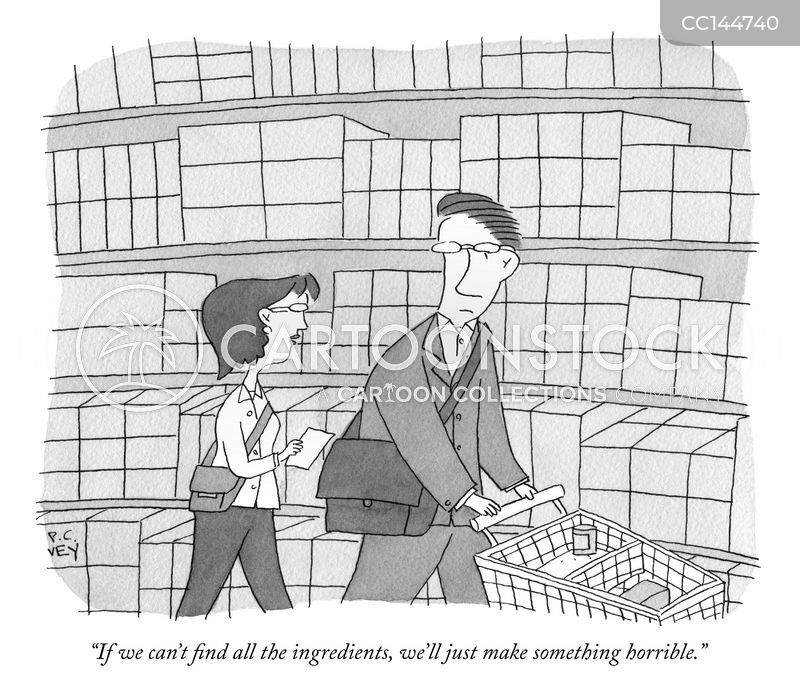 "If we can't find all the ingredients, we'll just make something horrible."